Significant progress is continuing in Venezuela as a result of a unified international coalition against the regime of Nicolas Maduro and crippling sanctions against military and political leaders. So far, more than 400 members of the security forces have deserted. Although most of these deserting members are mid and low-level as well as non-commissioned officers from the police and national guard, they have been joined by some high-level figures as well. 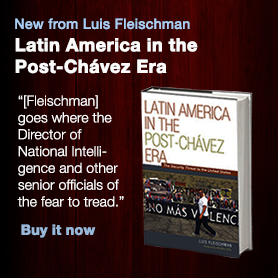 Most notably, former intelligence chief and retired General Hugo Carvajal, broke with Maduro, denouncing his government as a corrupt narco-regime with ties to Hezbollah. Carvajal urged members of the Venezuelan military to join him in breaking ranks with Maduro. The desertion of Mr. Carvajal, who is a member of the Venezuelan National Assembly, is significant considering his past role as a drug trafficker who evaded extradition to the United States. Since the beginning of the crisis in Venezuela, which began during the presidency of Hugo Chavez, we have not witnessed dissent from such a prominent establishment figure. This has all come about as a direct result of the joint action of an internal unified opposition, along with effective international pressure that is emboldening desperate members of the military to defect. This international coalition recently faced a setback after Russia blocked a United Nations Security Council resolution calling on Venezuela to allow humanitarian aid in the country and hold free and fair elections. The defeat of this measure is the latest example of the obstacles to achieving international solutions with countries beyond the world democracies. It is why the resolution of the Venezuelan crisis must continue to operate in the framework of an international coalition of world democracies, particularly from North and South America and Europe. What can be legitimately achieved? There are those in the Venezuelan opposition that fully support a U.S. military intervention to depose the regime. However, countries in Latin America have already rejected that option. 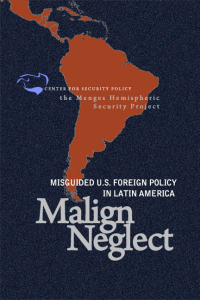 The “Lima Group”, a group of 12 U.S.-aligned countries in Latin America, distanced itself from the military option last week in a meeting in Bogota, Colombia. Brazil, a strong ally of the U.S., represented by its vice president Hamilton Mourãu— a former general and anti-Maduro hardliner— rejected the military option up front. The European Union also declared that the military option must be avoided. With those opposition voices considered, support for more aggressive intervention remains relatively strong. Even in the United States, where domestic opposition to military intervention is typically strong, the Trump administration’s policies toward Venezuela enjoy bi-partisan support. So, given the fact that maintaining an international coalition and bi-partisan support in the U.S. is crucial, what are the options? First of all, it is critical that the Venezuelan government and military remain in a state of fear. Staying on message that “all the options are on the table” is absolutely necessary. While the current strategy is working slowly, it is working nonetheless, and faster than strategies attempted in the past. Currently, political, military and economic support for the Maduro regime comes mainly from Cuba, Russia and China. Venezuela must be forced into a situation where it remains totally isolated and where no weapons or other imports should be allowed into the hands of the regime. The analyst, Tom Rogan, argued in aWashington Examiner articlethat the U.S. should block oil supplies from Venezuela to Cuba through a sort of naval blockade in order to effectively put pressure on the Cubans to abandon Maduro. Rogan predicts that since Cuba is so heavily dependent on Venezuelan oil for vital needs such as electricity, economic pressure on Cuba would be so great that it would be forced to withdraw its support from Maduro. Although it is not guaranteed that Cuba would abandon Maduro, or even that Maduro’s severe repression of the Venezuelan people would stop without Cuban support, a general naval blockade cutting Venezuela off from the rest of the world—an idea that I have raised before—would be an effective step, preventing shipments to and from Venezuela that bolster the regime and allow it to survive. Such a move would mainly prevent external support for the regime, from countries such as Russia, China and Cuba, that have a vested interest in the regime’s survival. Interestingly enough, it was reported that China has reached out to interim president and opposition leader Juan Guaido. China, of course, denied those reports. A naval blockade would have wide international support from democratic allies and might even convince China, the largest creditor of Venezuela’s debt, to abandon Maduro. If sanctions have led to increases in desertions in Venezuela, then certainly a naval blockade would further multiply them. In fact, naval blockades have been historically effective. The blockade of Germany during World War I was crucial to the Allied victory, as was the Union’s blockade of the Confederacy during the American Civil War. It is true that those blockades caused suffering to the civilian population, especially in the case of Germany during World War I. However, in the case of Venezuela, it is unlikely that the crisis facing the population would worsen as a result of such a blockade. But it would certainly shake up the corrupt Venezuelan elite, particularly Vladimir Padrino and the generals who currently support the regime. Indeed, General Padrino recently doubled down on his support for the Maduro regime. In fact, there is already humanitarian aid available and ready to be delivered. 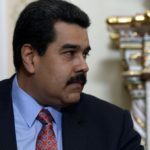 This aid could also be available to the tens of thousands of men and women that are part of the military and security apparatus seeking to receive it as long as they are willing to abandon Maduro. A naval blockade in fact might lead to more defections. Simultaneously, Padrino and his accomplices in the military should be warned that the longer they wait to abandon the Maduro regime, the harsher the consequences will be. The Venezuelan political and security elites’ lives should be made unbearable and frightening to the point of making them realize that sticking with the dictatorship is a bad option. Toppling Maduro will only be achieved if the military ceases to support him.